Click here for our most recently updated Advising Newsletter! Here you will find information about current courses, our undergraduate programs and information for pre-med students. 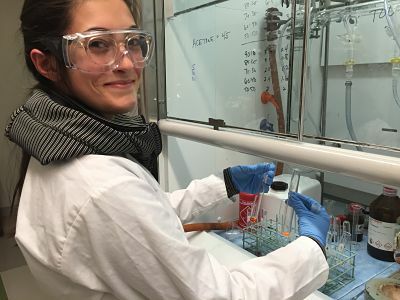 Many of our majors find undergraduate research opportunities in the department provide them with uniquely formative experiences. If you are a chemistry or biochemistry major and have specific questions or concerns, contact your advisor. Review our Advising Newsletter, which is updated every semester with information and advice for chemistry and biochemistry majors, as well as any student taking our courses. You can stay up to date with the department by following us on Facebook!